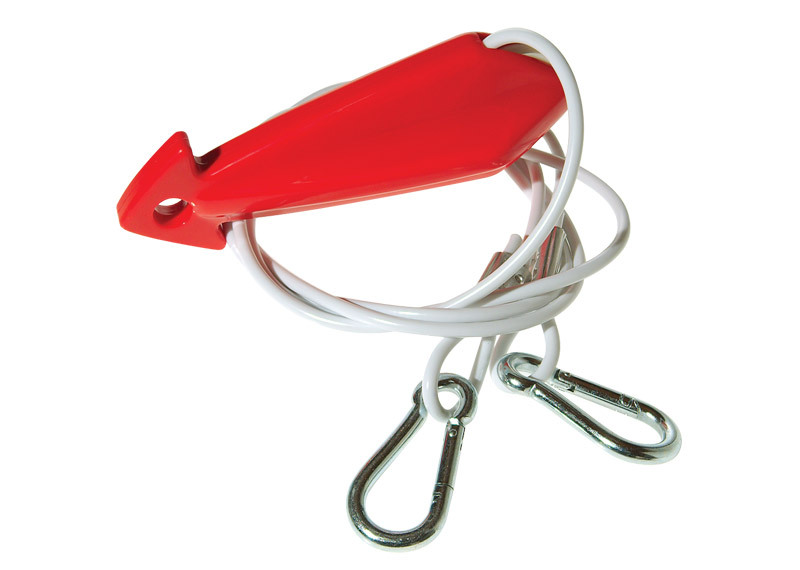 Rope loops attach to your boat and lead to one main attachment point for your towrope. 9” float helps keep the rope away from the propeller. 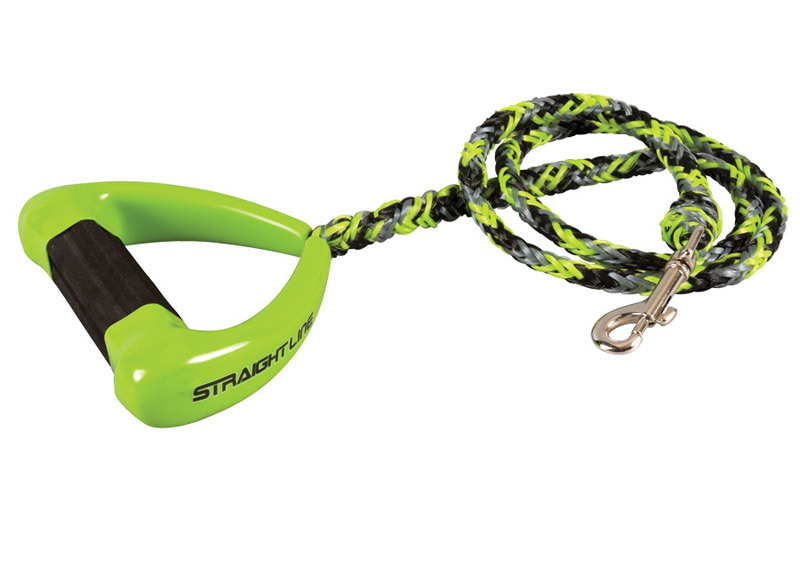 Two transom hooks attach to your boat and lead to one main attachment point for your towrope. 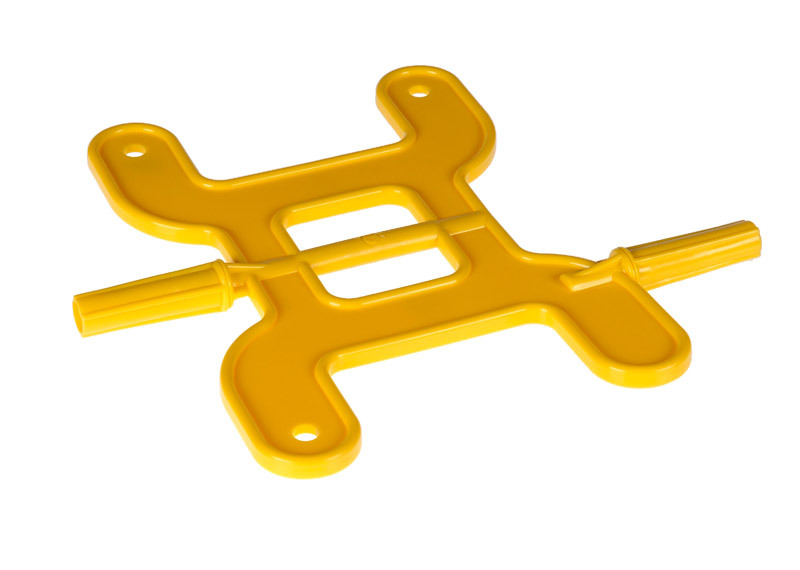 Unique bungie webbing dock tie for a secure dockside attachment with some tension, stainless steel hooks & built in floats. 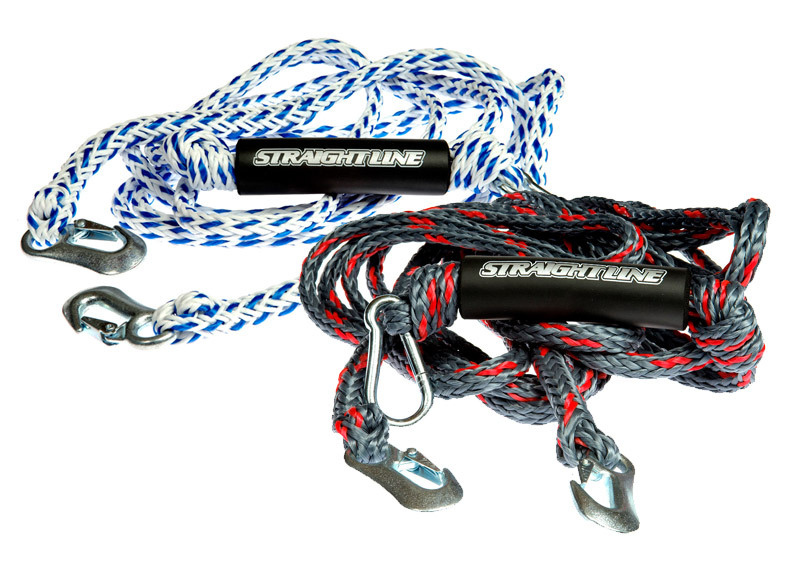 An easy, convenient and dry method for anchoring your boat offshore. 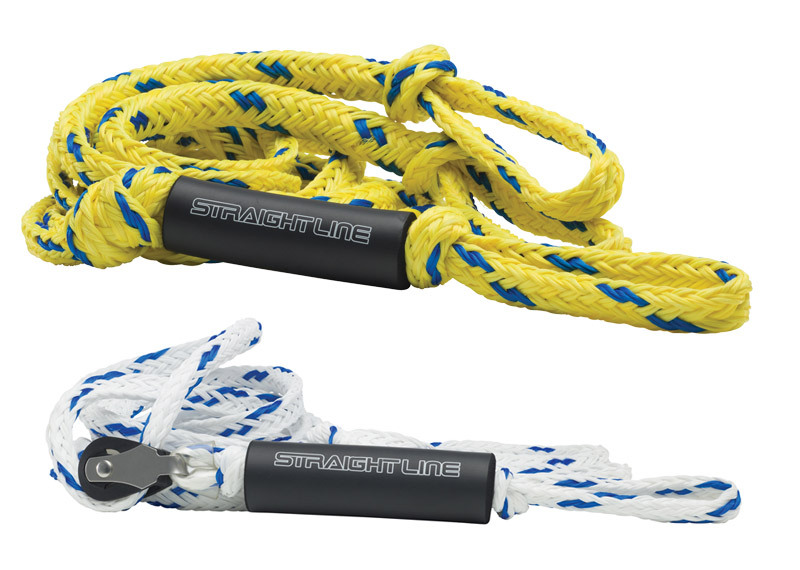 Connect the EZ Stretch line to your anchor and stern. Drop anchor and slowly motor to shore, hop off with rope in hand and let the EZ Stretch pull the boat away from shore for safe parking. 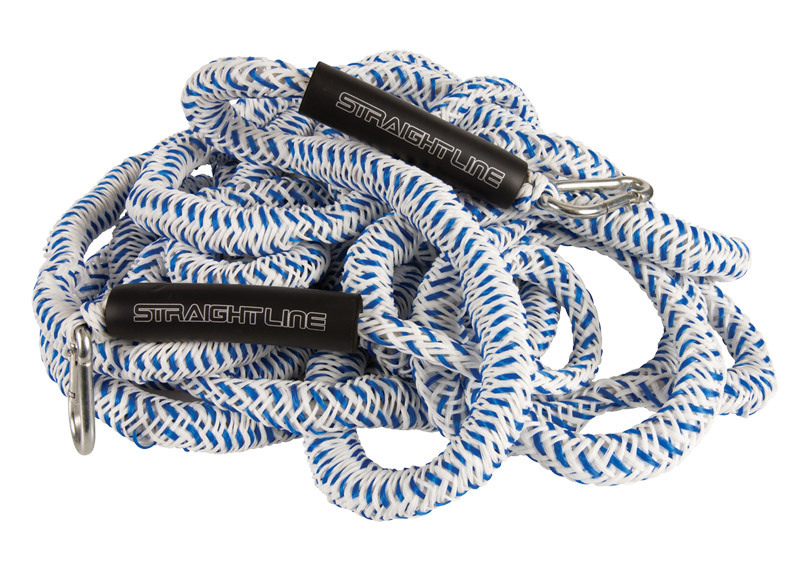 Tie your rope to land until you’re ready to pull the boat back to you and climb aboard at the shoreline. 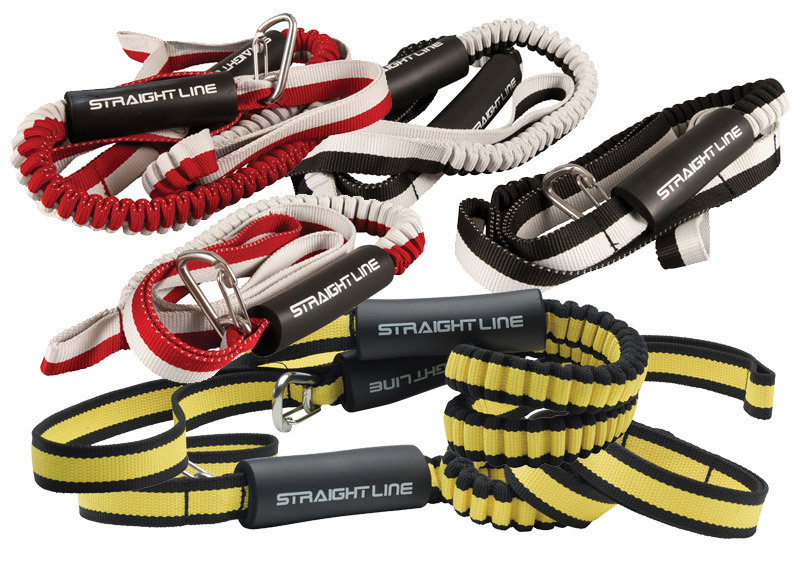 Available in 20’ or 40’ lengths when stretched. The best protection you can offer your boat while parked at the dock. 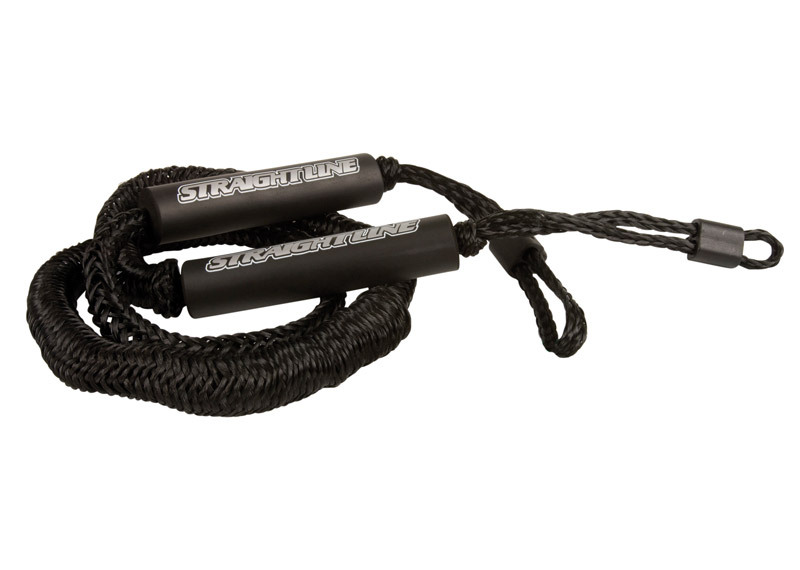 Run it from the dock cleat to your ski pylon and let the EZ Stretch cord absorb the rollers that would normally damage your boat. 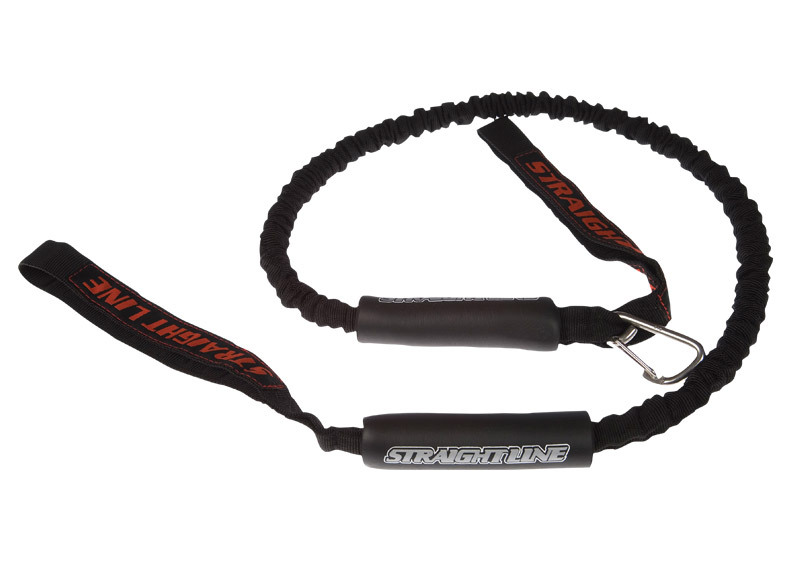 A more rugged, durable version than the EZ Stretch. Its five-foot length will accommodate inboards, V-drives and runabouts alike. 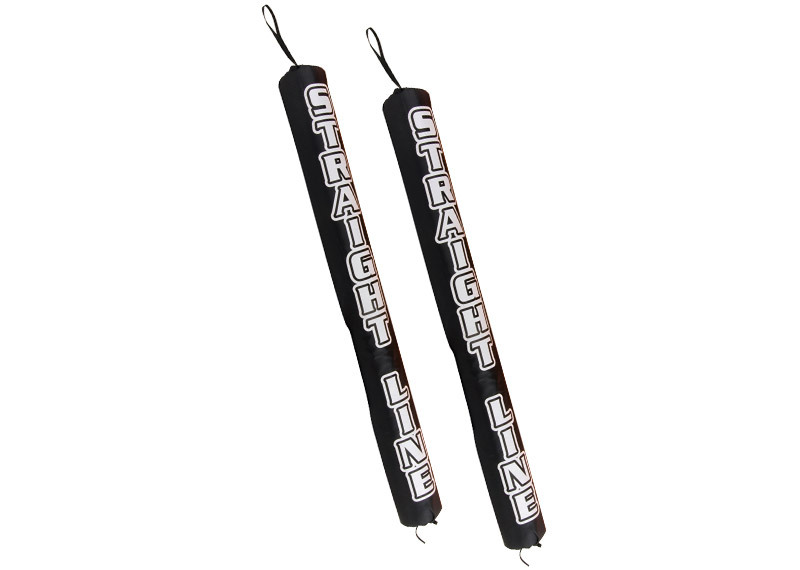 Three foot tall, nylon covered foam pads to protect your boat and the trailer. 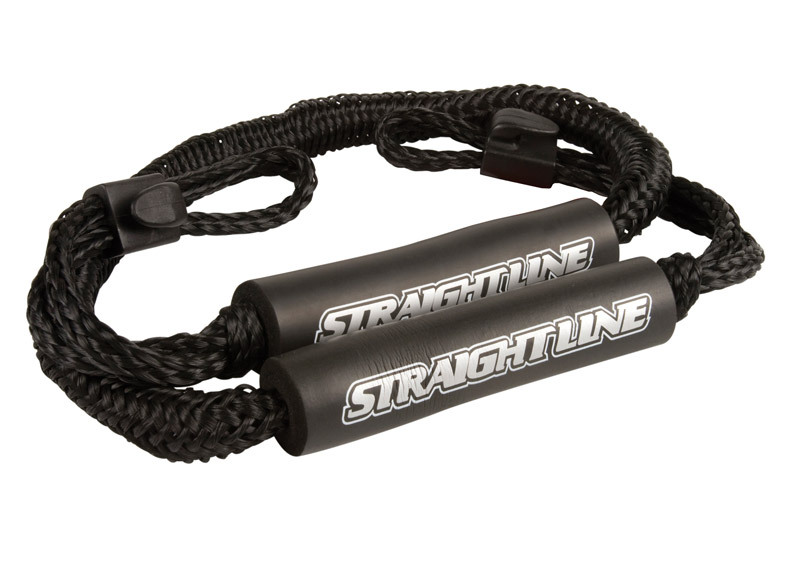 Helps reduce rope “recoil” and is great for protecting inboard motor boxes from rope wear too. 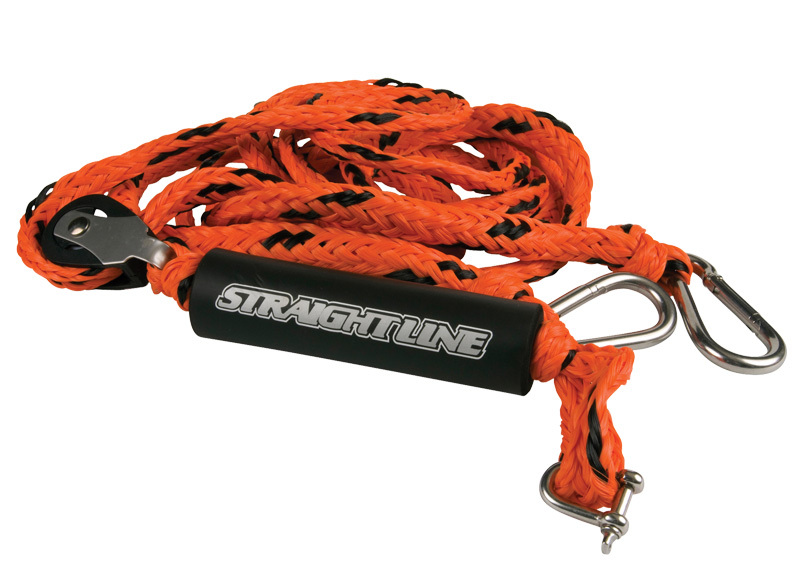 Two pivoting handles make it easy to quickly and neatly coil your rope for storage. 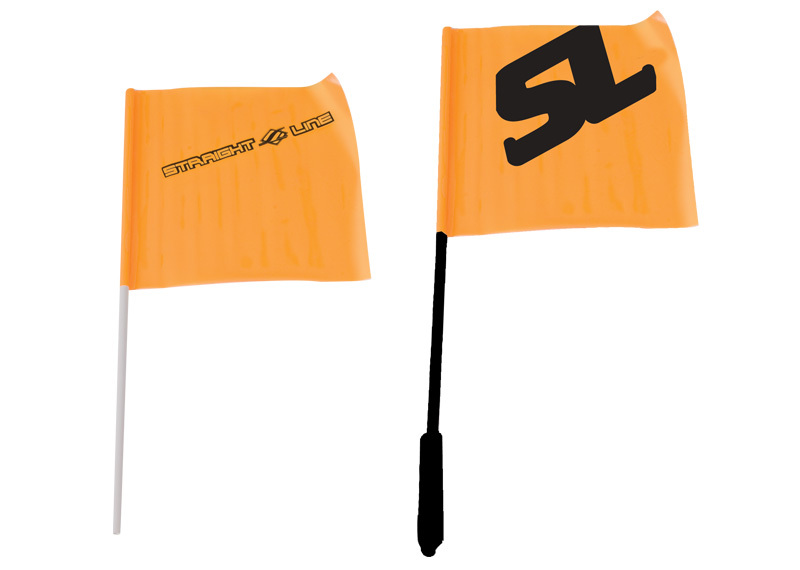 Make sure your rider can be seen in the water, with this bright Orange Safety Flag. 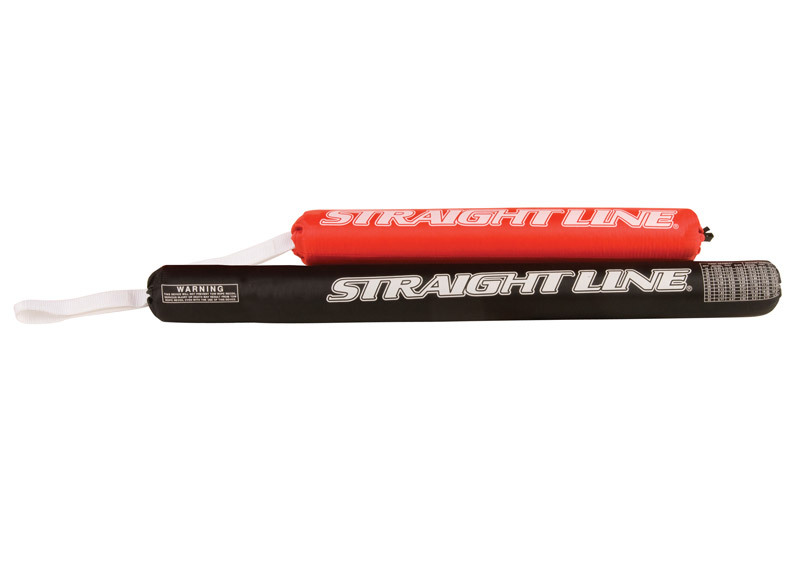 © 2015 Straight Line Sports. All Rights Reserved.